The marital relationship of their characters is just one of the common threads woven into the scenarios of these films. The Stratton and Miller stories are biographical (i.e. Monty Stratton, the major-league baseball pitcher who loses a leg in a hunting accident and rallies to continue to play, albeit in the minor leagues; and Glenn Miller, the big-band leader who is presumed to have died in a plane crash during a flight from England to France while serving in the U.S. military during WWII). The Strategic Air Command is also biographical, but of an organization, hence the title of the movie. In each of the three movies, Mr. Stewart and Ms. Allyson play loving and supportive mates channeling frustration and other such physical and emotional obstacles into triumphs of will and patriotic stick-to-itiveness. Henry “Harry” Morgan can be considered a de facto member of this team. In the Strategic and Miller films, he appears as a kind of sidekick or fellow traveler. I love these movies. I am a sucker for old movies black and white or color just love them. Yes, Dorothy, The Stratton Story is occasionally played on Turner Classic Movies. As far as I know, it is not currently scheduled to play, but you can request it be put on the schedule, a request that is heeded only when enough viewers make a similar request for playing the movie. 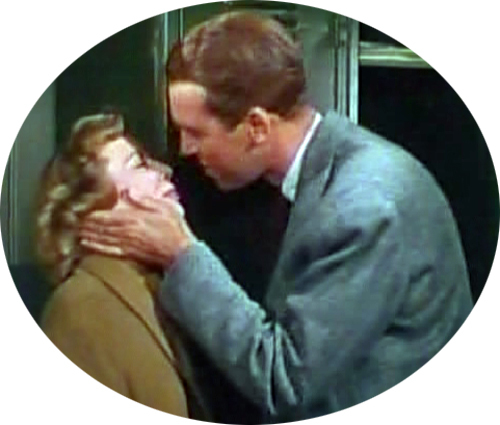 You can also visit TCM’s Web site and store, and purchase a DVD of the movie: http://www.tcm.com/tcmdb/title/2064/The-Stratton-Story/# The asking prices is $14.99. Amazon.com, however, is selling the DVD right now for $4.99, plus shipping — unless you belong to Amazon.com’s prime, in which case shipping is free. Please know that I am not advocating, promoting, or endorsing that you purchase anything from either TCM or Amazon.com. You may find that your local library has in its circulation and ready for check-out a DVD (or even a VHS tape) of the movie. Some public libraries also offer a streaming service to their patrons, and, if yours does, you may find a streaming video of the movie. The library connection is, of course, a long shot, but worth checking into. In any case, The Stratton Story, is a wonderful movie and a great vehicle for enjoying the Stewart/Allyson team at work. Incidentally, here’s a bit of movie trivia relevant to this movie, a kind of 6 degrees of separation thing: Monty Stratton grew up in and around Greenville, TX, which is also where Audie Murphy grew up. 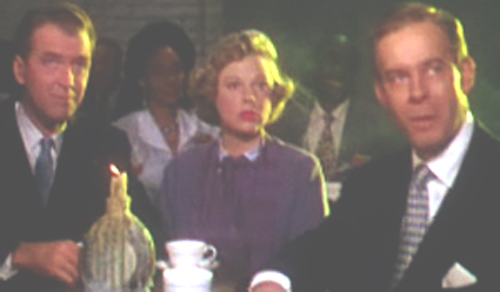 Although, James Stewart did not portray Audie Murphy in any of his movies, he did appear with him in Night Passage (1957), giving to Greenville, TX, the distinction of having Mr. Stewart portray and work with its two most famous residents. Thanks for your feedback. 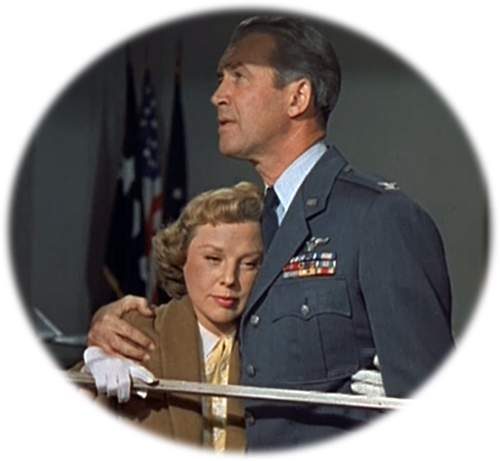 Please let me know if you need help finding any James Stewart or June Allyson movies. I’m glad you found the Web site useful. Glad you found the Web site at all. Thank you for the feedback. I DON’T THINK THERE HAS EVER BEEN , OR EVER WILL BE AGAIN, TWO PEOPLE MORE SUITED TO WORK TOGETHER, THAN MR. STEWART, AND MISS ALLYSON. THEY HAD SOMETHING SPECIAL THAT TO ME SET THEM APART FROM ALL OTHER ACTORS, AND ACTRESSES. SURE WOULD HAVE LOVED TO BE ABLE TO THANK THEM IN PERSON. Well this is Super cool, now we know how Mr. Morgan rose to the rank of full bird Colonel in time for M*A*S*H…always one of my favorites. Well this is Super cool, now we know how Mr. Morgan rose to the rank of full bird Colonel in time for M*A*S*H…always one of my favourites. Tough with a knowledgeable heart of gold.